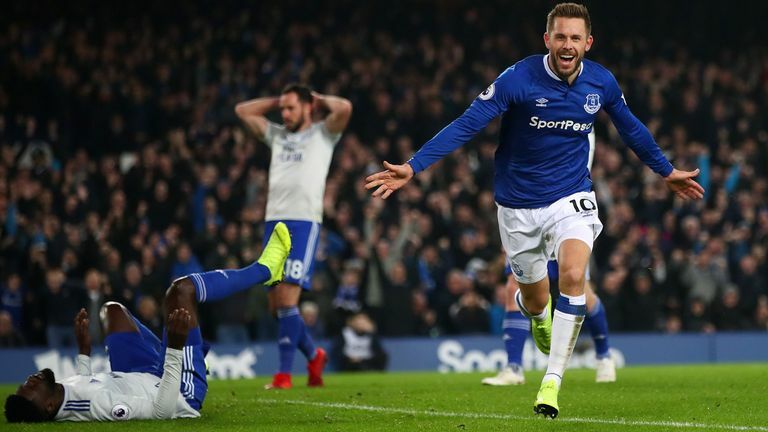 Marco Silva heaped praise on Gylfi Sigurdsson after his goal earned Everton victory over Cardiff and a place in the Premier League's top six. Silva's side are developing real momentum and Saturday's 1-0 win was their fourth in a row at Goodison Park. This was certainly not the prettiest of performances, and credit must go to Cardiff for their tenacity in sticking with Everton to the finish, but there was no doubt the hosts were the better team and they arguably should have had more to show for it than Sigurdsson's 59th-minute tap-in. The Iceland international had a simple task after Neil Etheridge pushed Theo Walcott's shot into the middle of the area, but Sigurdsson's quality shone throughout the match. "He's performing well like we are playing," Silva said. "The fantastic work the two behind him are doing as well, [Idrissa] Gana [Gueye] and Andre [Gomes], is helping him. "He's understanding more now what I want, the moves he has to do, what are the positions and the space on the pitch he has to receive the ball. "He's a very good player with a lot of quality, he can arrive well in the box like I like a player playing in that position [to do]. He's a fantastic professional who works every day and after it's easy to understand how he can work as well on the pitch during the matches." Etheridge was by far the busier keeper - although Jordan Pickford produced a fine save to deny Victor Camarasa - and Ademola Lookman, Richarlison and Cenk Tosun all might have added to Sigurdsson's effort. 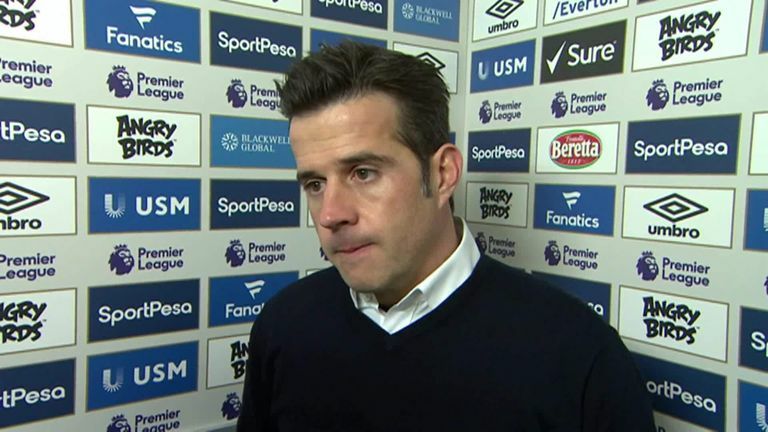 Silva was more than content with the three points, though, saying: "I'm really happy because we won the match. We deserved to win. "The game was nothing different than we expected. It was a different week for us, we had some players just working with us Thursday and Friday because of the international break. "We created chances to kill the game, we didn't do it, and after the game is always open until the end. They are strong in set-pieces, long throws, but we were mature in those moments. We started slowly, it was different the second half and we started to create more chances."